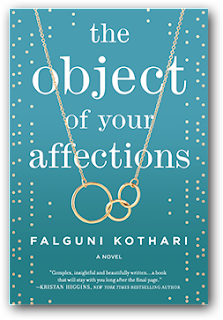 Falguni Kothari is the author of the new novel The Object of Your Affections. 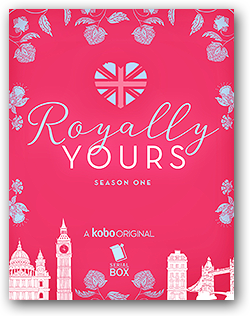 Her other books include My Last Love Story and Royally Yours. Born in Mumbai, she lives in New York. Q: How did you come up with the idea for The Object of Your Affections, and for your characters Paris and Naira? A: I knew a couple of things from the outset when I started brainstorming ideas and themes for The Object of Your Affections. I usually begin brainstorming with the characters. Who are they as people, as individuals or as parts of a wider community? What makes them tick? Where are they from? Where do they live? What’s important to them? Why is it important? What or whom haven’t I written about yet? The idea of Paris definitely came to me first because in recent years I’ve come to know many adopted families or extended families and seen up close how the process of assimilation works in those situations, or how it doesn’t work despite everyone’s best intentions. I’m also obsessed with Law and Order SVU and knew I wanted to write about an ADA in NYC or a cop. And once I had Paris in place, Naira was easier to develop as her counterfoil. Honestly, most of the brainstorming is continuously asking questions and coming up with plausible answers about the narrative. 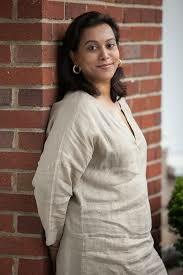 Q: Why did you decide to focus on the theme of surrogacy in the novel? A: Surrogacy has been making rounds in the news for the past few years, especially in India. I remember reading about several celebrity couples who chose to have children via surrogacy. But the story that made me specifically settle on the theme was when a single, male actor (in India) chose to have children through a surrogate and become a single dad simply because he was ready to be one. He said in an interview that he hadn’t found The One, and wasn’t sure he’d ever find her or even get married. But, he was more than ready to be a dad, so why not be one? It’s been several years since he had his twins and he does seem to be an amazing dad. And he’d still not married. The unconventional choice or lifestyle got me wondering, and then thinking about my own husband and how he’s an amazing parent…quite honestly a better parent that I am. Between us, my husband is more fond of children—not just our own—and is a natural nurturer. I wanted to write about fatherhood and what it means when pitted against motherhood. Society sets so much store in motherhood, and most of us still (wrongly) think that it’s the ultimate ode to womanhood, and I wanted to show a different side to that way of thinking. Q: What do you think the novel says about female friendship? A: To me personally, my friendships are super important—be it female or male. I am an only child and I’ve always had friends like sisters in my life. I think I tend to write about strong friendships because I know the concept well. A good friendship is about quiet support and honest strength and loads of fun and fulfilling conversations. Not saying one can’t have that with family, but friends are relationships you choose to be in as opposed to being born into. Having said that, female friendships in particular are strange beasts—amazing one minute and fraught with dissent the next. It’s a great dynamic to experience when done right. Q: Did you know how the book would end before you started writing it, or did you make many changes along the way? A: The first draft is always filled with holes, isn’t it? I had to rewrite a lot of the draft because I’d started the book at a different place initially and ended it when Naira gets pregnant. My editor suggested I bring more of the pregnancy into the picture as emotions will definitely be flying during the time. So, now the story is divided in two parts: From Concept to Conception and the Tri-mess-ters. And I did have to adjust the ending with the new plotline in mind…though not drastically. 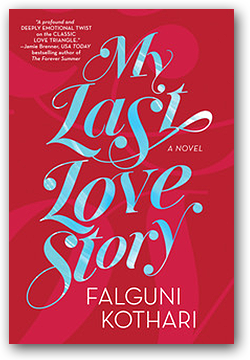 Bollywood bad boy, Veer Rana, must convince his ex, Tania Coehlo, who is known in movie circles as the Piranha of Publicity, to give him—them—a second chance, before he is fake wedded to his co-star, Ariana, in a publicity gig cooked up by the very woman he wants as his own. I’m also working on re-releasing Bootie and the Beast, my romance novel which was previously published by Harlequin India, in May 2019. A: Neal Singh Fraser in The Object of Your Affections is my homage to James Fraser (King of Men) from Outlander. Yup, I’m a huge Jamie Fraser fan.